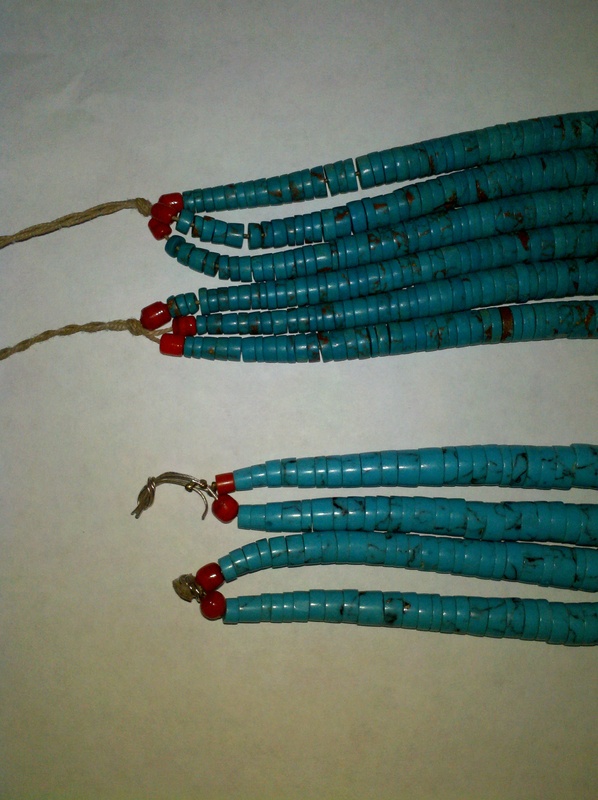 Is the turquoise in these jacla necklaces real? 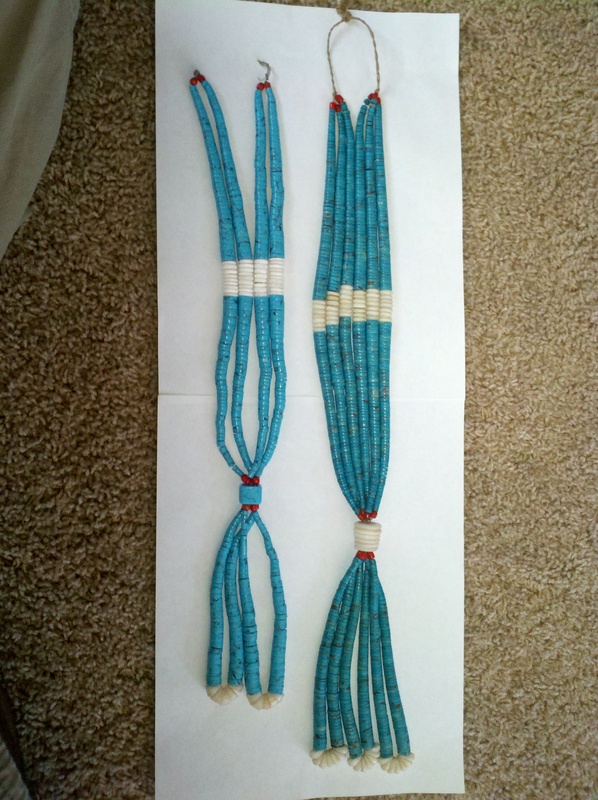 Hello sorry to take up a few moments of your time but I came across these 2 necklace at an estate sale and was wondering if you knew where I can find a buyer, and to advise if the turqoise is authentic. Would you be able to direct me. 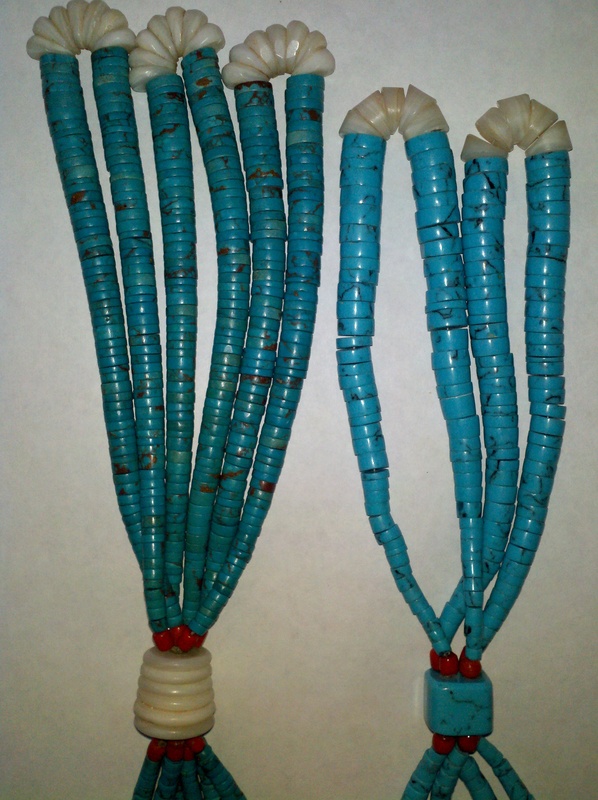 My gut feeling is that the lighter one is block turquoise and the darker one could also be block turquoise or could be stabilized turquoise. It is always easier to tell in person that with photos. 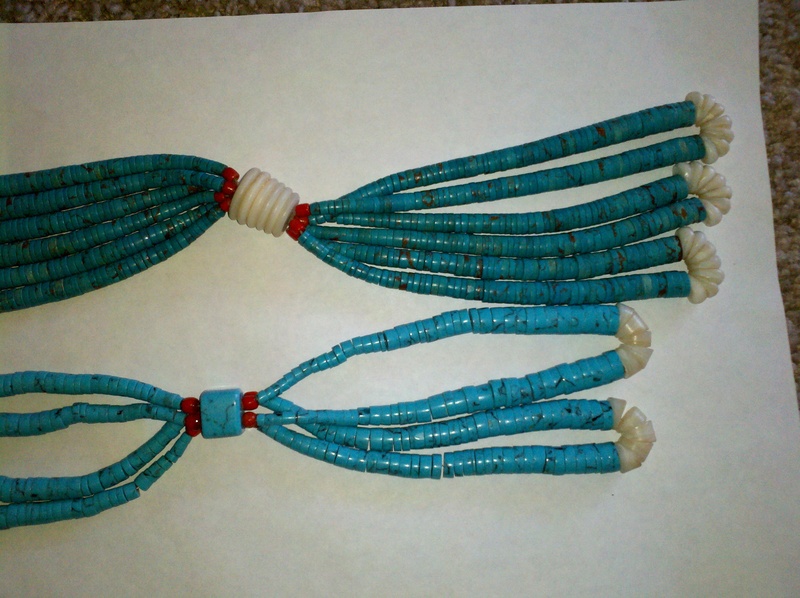 You can read more about jaclas in this article Jacla, Jackla, Jocla………No matter how you spell it, what is it? 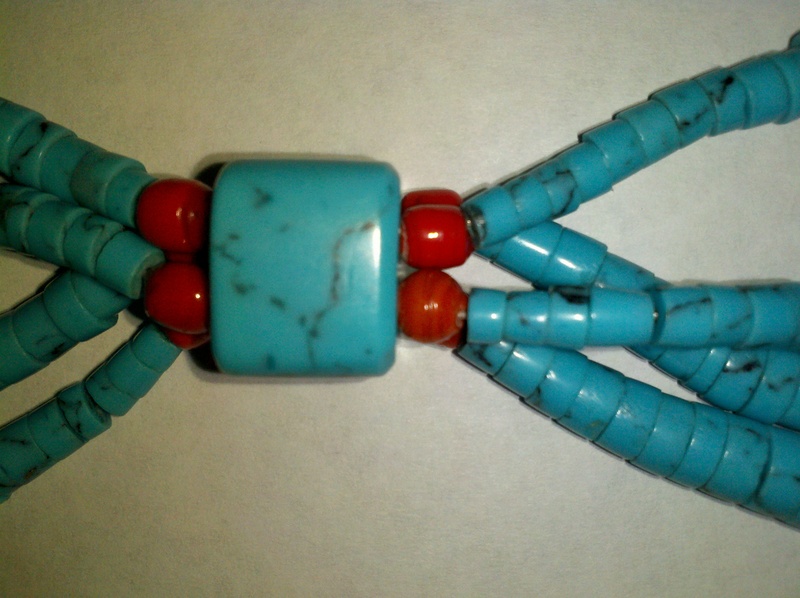 Yours are similar to this block turquoise necklace we have in our pawn shop. Click on the photo below and it will take you to the page with more details. As far as where to sell – perhaps eBay?